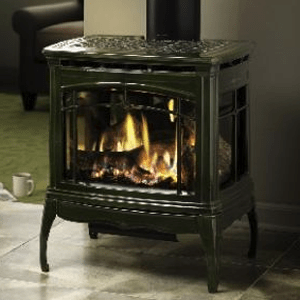 Whether your home décor is traditional or more modern, you’re sure to find a stove to enhance your space – start shopping our featured stoves today! And don’t forget to stop by our showroom to see all of the freestanding stoves we have to offer – click here for directions! Have questions? Give us a call at 812-284-0123! Add to your outdoor living experience while you enjoy the beauty and pleasure of an outdoor fireplace. This is a gas appliance you and your family will love!